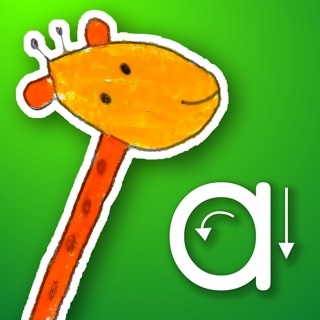 PocketPhonics teaches kids letter sounds, first words and handwriting. It is used in hundreds of elementary schools and pre-schools, and tens of thousands of homes. It is aligned with the Common Core State Standards, and independent research (see appsinmypocket.com/research) found children learnt nine times faster using PocketPhonics compared to a classroom lesson. PocketPhonics is split in to 12 groups of letter sounds, each group is followed by a set of storybooks that use those letter sounds. Kids read storybooks that are on the right level for them. Children can tap an unfamiliar word in a story, and the app will sound out the letters to help the child understand what the word says. They can tap again to hear the actual word and see a picture that illustrates its meaning. Very useful aid to homeschoolers. I am a mother of two boys, 3 & 5. I have had this app for 3 years. I homeschool my boys and started this app as a median to teach sounds form words. I began this app with my eldest son at 2 yrs old. He had already memorized his letter and some of their sounds by 18 months. He loved this app and making words. I love that this app teaches phonetics as that is how i teach to read. My eldest son was reading simple 3 to 4 word sentences at the age of 3yrs. I now use this for my youngest son and it is helping with his speech (he is also in speech therapy with his school). He can now build words using sounds, but has issues with multiple syllable words. I do wish i could adjust some of the practice words, add more words to help build more practice, and create a more gradual learning curve. However, overall it does work and it is a great tool! One of my best apps! 5 year old plays it all the time. Our granddaughter loves this app and spends a lot of time playing. Her letters are well made without reversals. She write text messages and spells most words correctly and effortlessly in her 3 month of kindergarten.